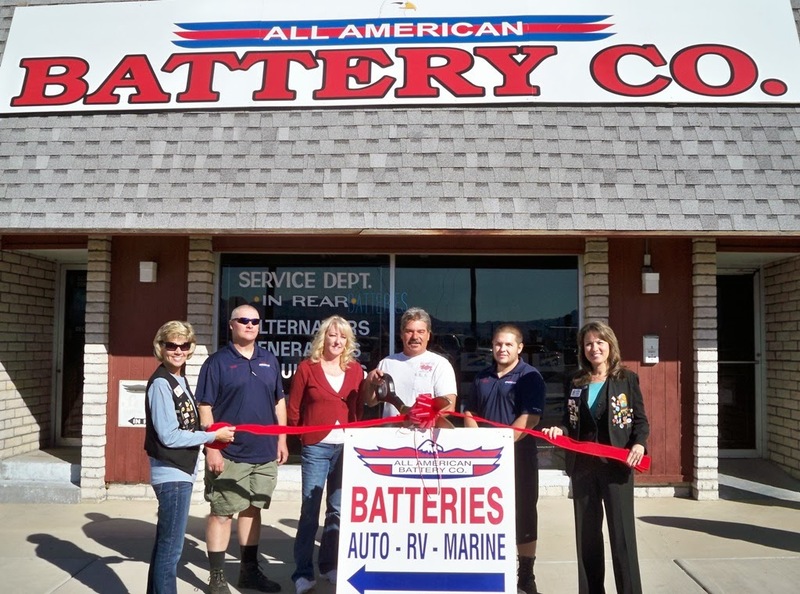 The Lake Havasu Area Chamber Ambassadors held a ribbon cutting ceremony for All American Battery, celebrating 25 years in business. Attending the ribbon cutting from left to right were Denise Johnk, Clay Young, Kimberly Boockfor, Mark Bookfor, Vincent Bookfor, and Amy Sugamele. 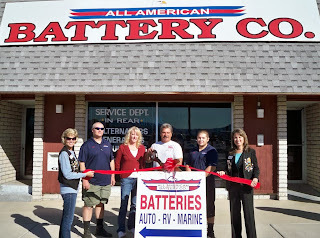 All American Battery has been family owned and operated since 1988, and prides itself in handling American made batteries for all your needs including auto, RV, marine, industrial, golf cars, motorcycle, ATV, solar, computer back-up and much more. All American Battery does free battery and alternator testing and installs most of its batteries at no extra charge. For more information contact them at 928-453-1004.